hd01:00DNIPRO, UKRAINE - FEBRUARY 12, 2017: Unidentified girls, ages 10-12 years old, perform Theatrical show Funny old woman at the concert hall. 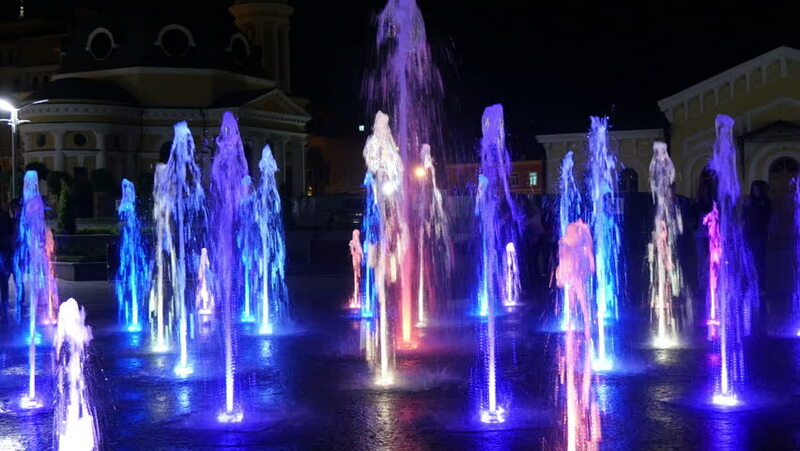 hd00:11Colorful dancing fountain at night. Slow-motion closeup footage of jets of water on a dark background. Unrecognizable people silhouettes. hd00:09Group of silhouetted people dancing in a dark banquet hall for a wedding reception.